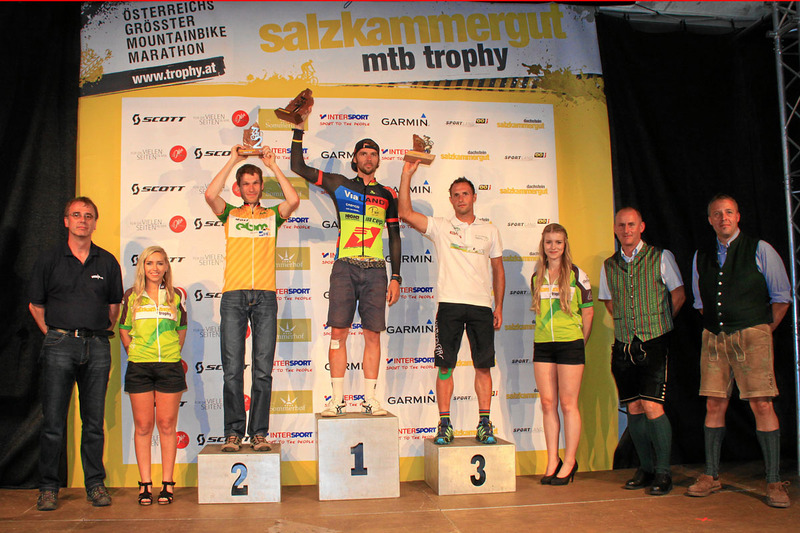 Time flies and the 19th Salzkammergut Trophy is already history. 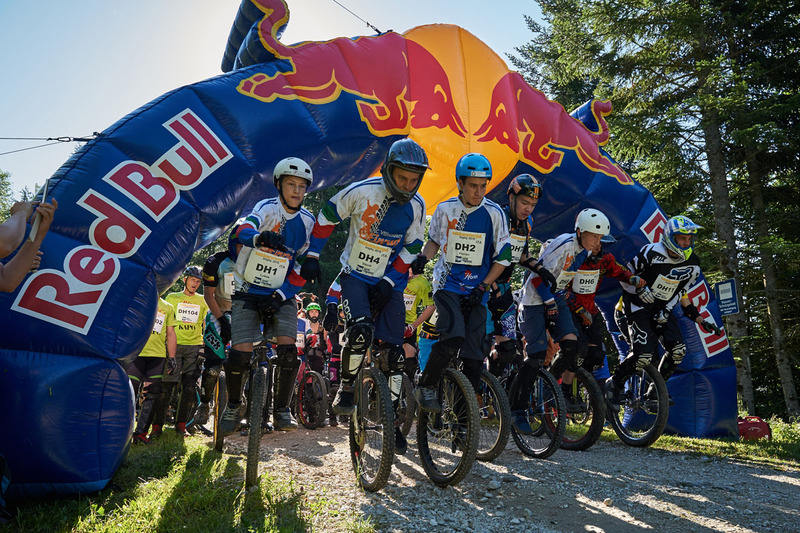 With 5.222 starters at our various competitions – marathons with more than seven different distances, the SCOTT Junior Trophy, unicycle downhill as well as our brand new eMTB-Trophy epowered by Bosch – the 5.000 mark has been again clearly topped! The Trophy team would like to thank all participants, all associations and organizations involved, all land owners and local residents as well as all promoters and sponsors, as well as special thanks to the 1.100 volunteers making an event of such dimensions even possible! 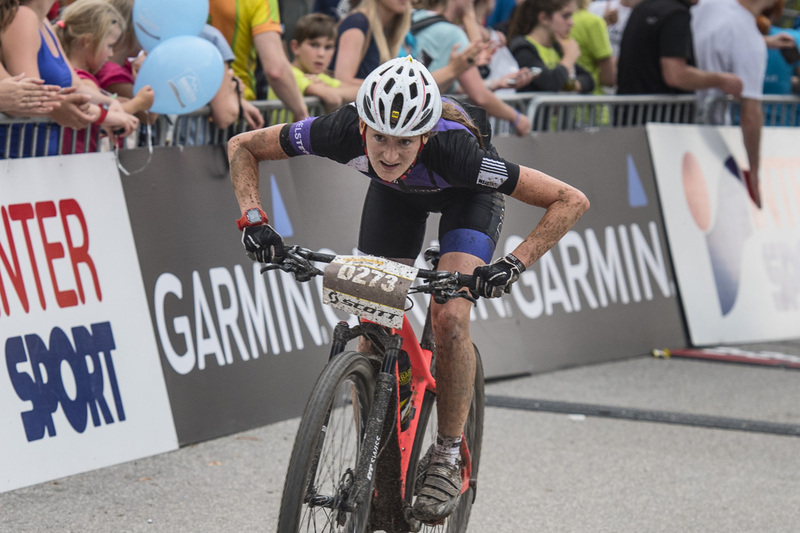 For the first time after 5 years an Austrian lady was able to win the extreme distance. With a timing of 12:21:50 Sabine Sommer’s competitors had no chance! She even broke last year’s winner Milena Cesnaková ‘s record by more than 28 minutes! Runner-up Katja Walz (GER) came in with a timing of 13:11:59 ahead of both last year’s winners from the Czech Republic, Milena Cesnaková and Jana Skrbková passing the finish line in Bad Goisern with 13:39:42 respectively 13:43:56. 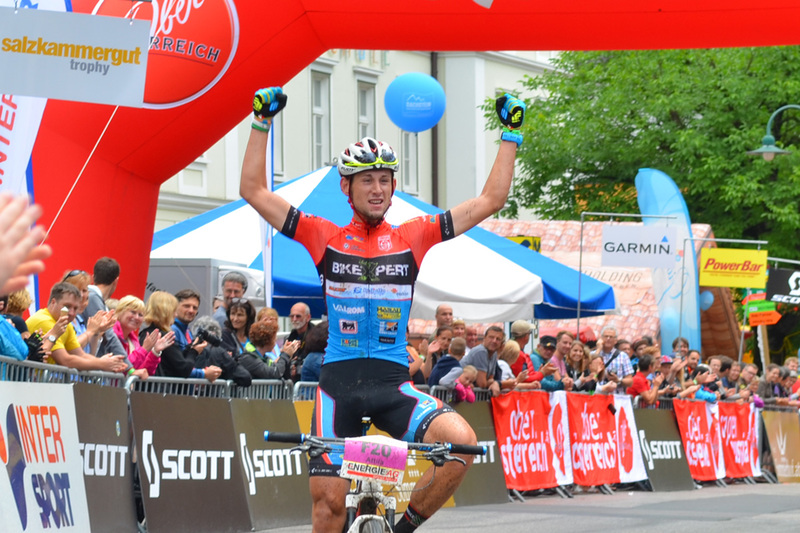 Titleholder Andreas Seewald (GER) has done it again! He tackled the extreme distance with incredible 9:48:12 and broke his own last year’s record by more than 2 minutes. Runner up is Daniel Rubisoier (AUT) with a timing of 10:26:16. Same place as last year, the Tyrolean Martin Ludwiczek (10:34:03) came in third! With 10:56:56 place 4 goes to Robert Berger Both, still ahead of Race Across America Winner Severin Zotter (11:06:05). Unfortunately, both joint favorites Wolfgang Krenn (AUT) and Ondrej Fojtík (CZE) had to quit the race due to a technical defect. Bad Goisern; Bei leichtem Regen wurde der Renntag um 5 Uhr früh von 719 Bikern der Extremdistanz in rasantem Tempo eröffnet. Bereits im ersten Drittel konnte sich der Vorjahressieger Andreas Seewald (GER) vom großen Feld absetzen. Erster Verfolger war mit Daniel Rubisoier ein Österreicher. Seewald baute im Laufe des Tages seinen Vorsprung auf unglaubliche 38 Minuten aus und verbesserte seinen Rekord aus dem Vorjahr um zwei Minuten auf 9:48:12. „Obwohl ich mittlerweile die Strecke kenne, war es heuer kein einfaches Rennen!“ so der Tagessieger der Extremdistanz. Zweiter wurde mit einer Zeit von 10:26:16 Daniel Rubisoier (AUT). Wie im Vorjahr schaffte es der Tiroler Martin Ludwiczek (10:34:03) auf Rang 3. Die beiden Mitfavoriten Wolfgang Krenn (AUT) und Ondrej Fojtík (CZE) kamen nach einem technischen Defekt in diesem Jahr leider nicht ins Ziel. 21 Damen wagten sich auf die Extremdistanz über 211 Kilometer und 7.119 Höhenmeter, von denen 13 das Ziel erreichten. The blue European Master Jerseys were awarded to the three age groups within the women rating and to the seven age groups among the men. The fastest time of all women EM participants was Paulina Wörz (GER) passing the finish line in Bad Goisern with 3:55:25 with a 10 minute lead over the runner up Natalija Anderluh from Slovenia in the category Master 1. Uwe Hochenwarter (AUT) became European Master with 5:08:22 in the category Master1. Second and third place Markus Schweiger und Norbert Mayer (both AUT). However, as second best of all EM participants Georgy Dmitriev from Italy with 5:19:39 was able to win the title in the category Masters2. 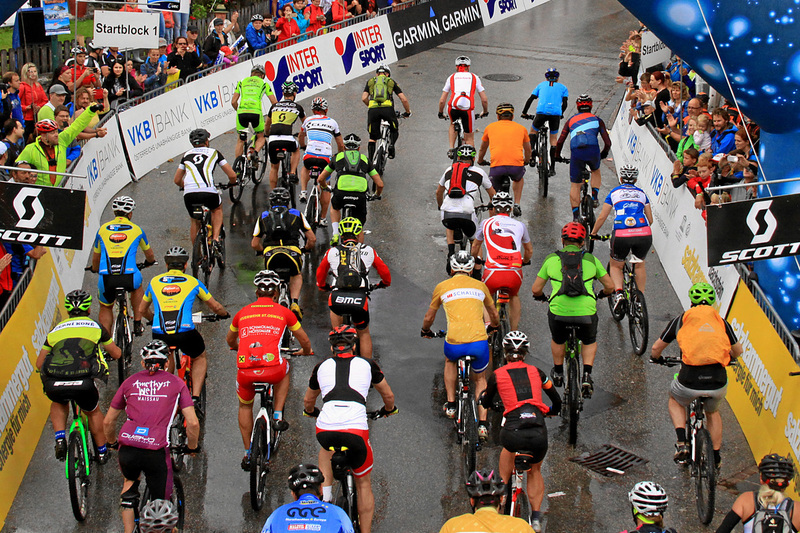 This year the B-Course was again one of the most popular distances. 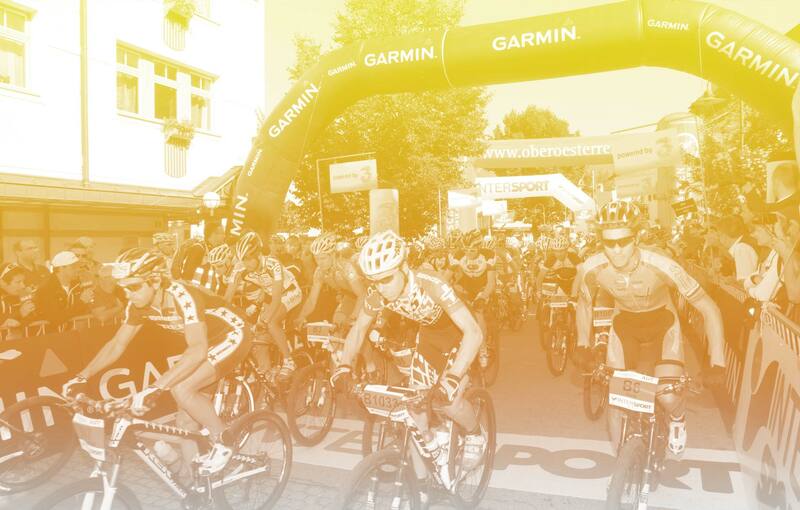 Among the 1.038 starters were also 43 women tackling the 119 km and 3848 altitude differences. Champ and local hero Lukas Islitzer passed the finish line after 5:18:23 having a 4 minutes lead over Ales Strnad from the Czech Republic! Third place with 5:31:47 goes to Lennard Heidenreich from Germany. Former pro-biathlete Christoph Sumann came in 31st with a great timing in the age group M40. 642 participants tackled the C-Course with more than 76 km and 2.446 meter altitude difference starting in Obertraun. The men kept the tenterhook until the very end with a close decision. With a photo finish the Hungarian Zsolt Búr was able to win by a tenth of a second over Adam Lavicka from the Czech Republic. Third place Benjamin Michael from Germany. Regina Genser (GER) won the women’s competition with a great lead of almost 8 minutes. Second and third place for Bianca Morvilla (ITA) and Denise Möderl (GER). 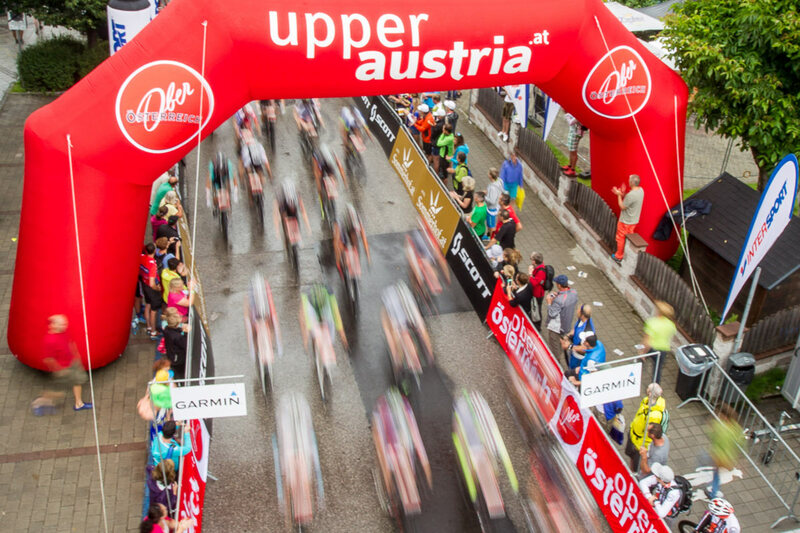 244 bikers at the All-Mountain-Contest with more than 60,4 km and 2.074 altitude difference starting in Bad Ischl – however only 191 were able to complete this technically difficult course. 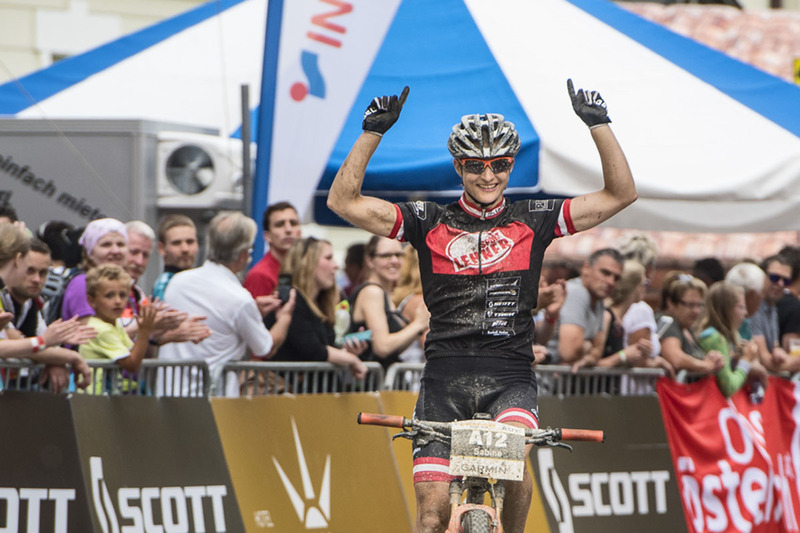 Florian Thaller from Germany was able to beat his last year’s timing by two and a half minutes and won with a more than five minute lead over Mario Färberböck (AUT). Third place Christopher Schwab (AUT). Same with the women’s competition: gold medal goes to Germany, silver and bronze medal for Austria. Julia Rimpl wins with 4:04:16 second Theresa Kober (4:05:51) and third Julia Wieltschnig (4:09:17). 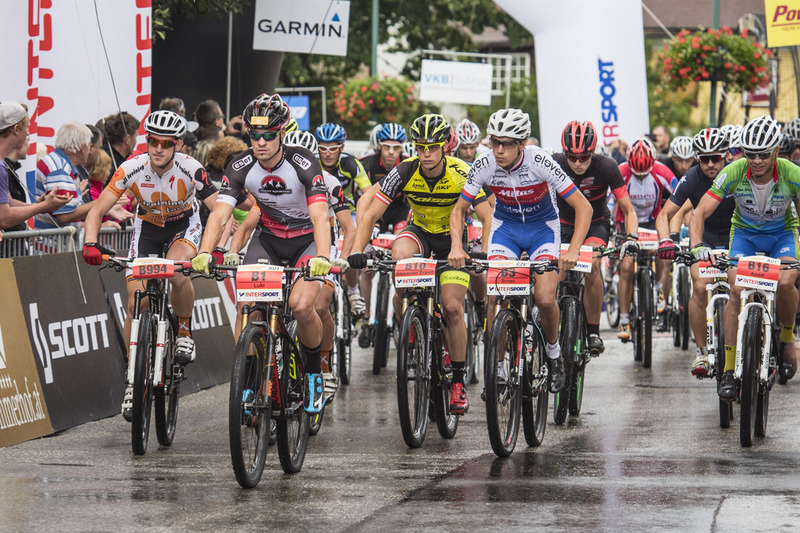 And once again the 53 km course with 1.543 altitude difference attracted the most participants – 1.112 bikers were at the start on Saturday at 12:45 hrs. Matthias Grick (AUT) and Manuel Pliem (AUT) were the first to pass the finishing line after 2:13:49 respectively 2:14:46. Third place Markus Preiss (AUT) with 2:17:25. At the women’s competition Lena Putz (GER) from the Intersport-Genesis Team had a huge lead over her competitors with 2:43:59. Runner-up Alexandra Wollner (AUT) passed the finish line after 2:55:40, just 19 seconds behind Karoline Neumüller (AUT) on third place. The South Tyrolean Team AC Villanders dominate the unicycle competitions. 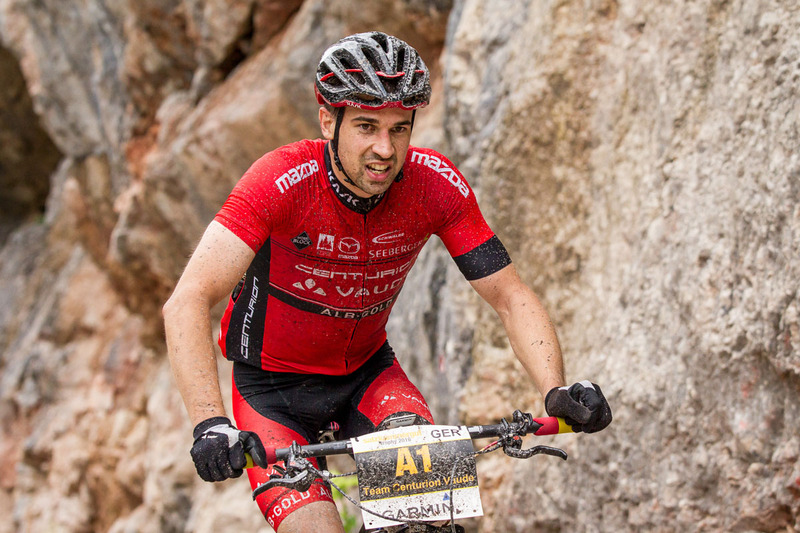 Michael Rabensteiner wins, followed by his brother Florian and last year’s winner Lukas Huber. At the women’s contests, Laura Baumgartner is able to beat last year’s winner Vera Hofer as well as Baumgartner Sarah. 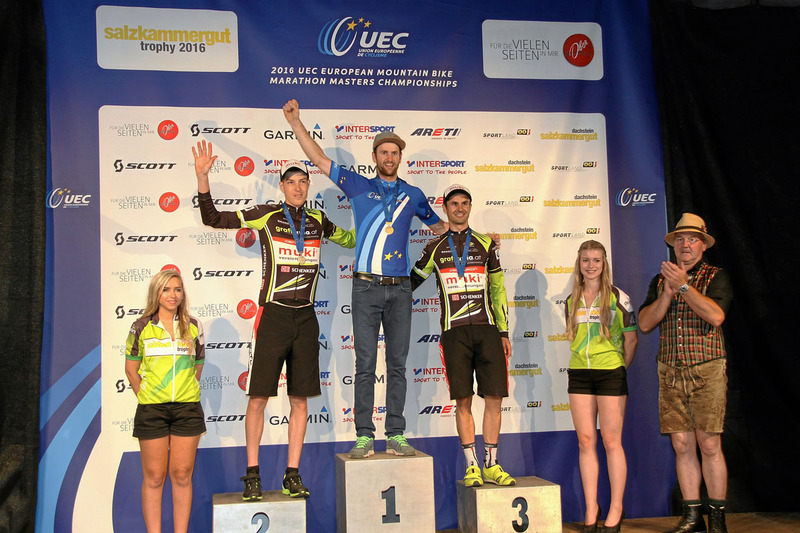 On the previous day Florian and Stefan Rabenberger were the winners of the unicycle marathon courses. On the 37.9 km track Florian was first to pass the finish line, beating the Austrian Champ Ben Soja and Maksym Siegienczuk from Poland. Stefan was able to win the 22.1 km course ahead of Rosenkranz Gerald. Among the women: Jana Tenamberger from Germany was the fastest on the 22.1 km course, second and third Baumgartner Laura and Wiedener Rebecca. Jószef Attila Málnási from Hungary wins the course with more than 37.9 km and 1.114 altitude differences – setting a winners time with 1:32:53. Tyrolean Stefan Vogler from Reutte came in second, and Tobias Peterstorfer from Salzburg with 1:37:08 claimed the third sport on the podium. Among the women, Daniela Kratz was able to beat with 1:51:40 both Germans Kristina Schollerer (1:58:43) as well as Kathrin Gräber (2:03:12). 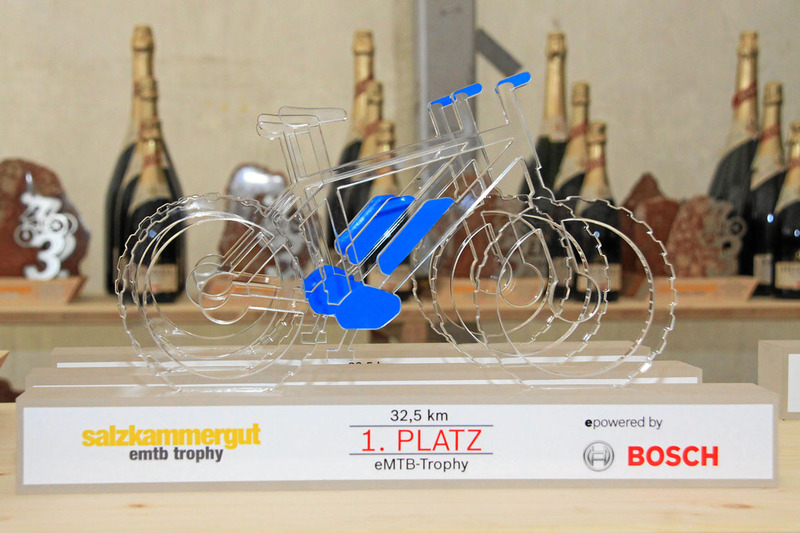 The first eMTB Trophy epowered by Bosch has been especially successful among the 60 participants. The course was 32.5 km long with 1.180 altitude difference. With this competition not the whole distance was timed, but instead two steep climbs and one technically challenging trail in the valley were selected for timing. The total sums of those three sections were added for the overall time.